The countdown to the inaugural running of the $1 million ‘Showdown’, a race exclusively for two-year-olds by VOBIS Sires’-nominated stallions in April 2019 is on, with all Larneuk stallions located in Victoria eligible for the scheme this breeding season. The very exciting Cluster, the ever-consistent O’lonhro, and the new boys Wolf Cry, Honorius. The two races, in addition to the existing VOBIS Gold Premier Race Series, will be worth more than $4.4 million by 2020. The whole VOBIS program will offer more than $20 million to Victorian owners. 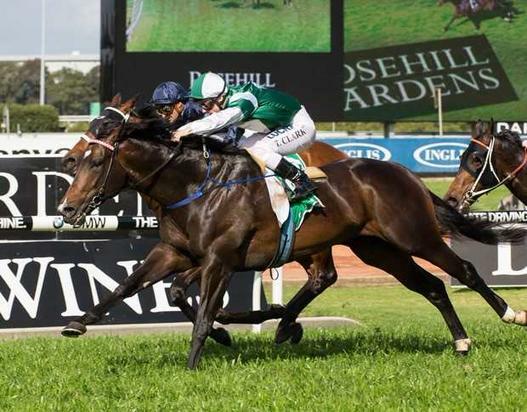 • $500,000 three-year-old race over 1,600 metres to be run for the first time in April 2020. Showdown stood at Stockwell Stud at Diggers Rest between 1966 and 1983 where he sired 46 stakes winners (13 at Group 1 level) including Golden Slipper, Blue Diamond, Oaks and Derbywinners. He retired from stud duties in 1983 and died at Stockwell Stud in 1985 (where he is buried).